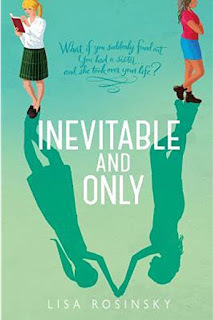 We are thrilled to present Lisa Rosinsky, author of the YA INEVITABLE AND ONLY (Boyds Mills Press) in the spotlight today! INEVITABLE AND ONLY has been named one of Barnes & Noble Teen's Most Anticipated Indie YAs of 2017! Be sure to enter the Rafflecopter below for a chance to win a copy of INEVITABLE AND ONLY! I started writing my first novel in a marble notebook in fourth grade, and finished it three years later. I figured that was it--I had conquered fiction!--and promptly moved on to poetry. For the next ten years, I only wrote poems. What inspired your book, Inevitable and Only? Inevitable and Only is about three of my favorite things--sisters, secrets, and Shakespeare. I've always wanted an older brother. I even invented one in sixth grade, and all my friends thought he was real, until the stories I told about him got too ridiculously far-fetched. But I never forgot that idea of a secret sibling, and I love family dramas. One night, on a long drive (I always get my best ideas on middle-of-the-night drives or in the shower), the name Acadia popped into my head. I started wondering about her . . . why did she have that unusual name? What was her story? I gave her an artsy, Jewish, close-knit family like the one I grew up in--plus, that secret sibling I'd always wanted--and the story started to unfold from there. Probably something in between--unless you're counting all the way from fourth grade, which is when I first decided I wanted to be an author! I wrote Inevitable and Only as a NaNoWriMo project in 2014, signed with my agent in the spring of 2015, and she sold the book in 2016. I'm working on another contemporary YA novel, and about a zillion ideas for other novels...plus a bunch of poems...and maybe even a novel in verse! What is the hardest part about writing YA books? I don't know if there's anything harder about writing YA than writing fiction in general. Since I considered myself only a poet for so long, it's still somewhat miraculous to me that I can write anything longer than seven inches! For a while when I first started writing fiction, it was all just plot-less prose poetry. Is there anything easy about writing??? Maybe remembering what it was like to be a young adult. Those memories are incredibly vivid for me--the intensity of all my feelings. The process of discovering who I was outside of my family, who I wanted to be in the wider world. Those are memories and experiences I'll never get tired of exploring. First of all--read! Read widely in the age group you want to write for. Read books you love and books you hate. And when you don't like a book, keep reading it, and figure out what you don't like about it and how you would write it differently. The books you don't like can be the most valuable learning tools. Second, find other children's authors near you. Go to their events and read their books and get to know them. In my experience, the children's writers' community is incredibly close-knit and supportive. Once upon a time, I was an actress with a traveling children's theater. My favorite role was playing half of a two-person production of The Lion, the Witch, and the Wardrobe. Lisa Rosinsky is a poet, editor, novelist, and teacher. 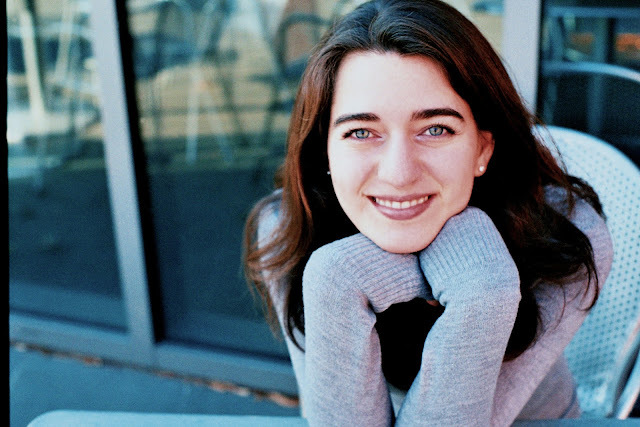 She was the 2016-2017 Associates of the Boston Public Library Writer-in-Residence, and holds a BA in creative writing from Johns Hopkins University and an MFA in creative writing from Boston University. Her poetry has appeared or is forthcoming in Mid-American Review, Prairie Schooner, Cimarron Review, Measure, 32 Poems, The Baltimore Review, and other journals. Lisa is a senior editor at Barefoot Books in Cambridge, MA. Inevitable and Only is her first novel. The cover looks wonderful! I wonder where Shakespeare comes in?! Thanks for the interview today. I'm going to take your advice and finish books that I don't like and try to figure out why and what I would have done differently. Congratulations on your novel! Can't wait to read.